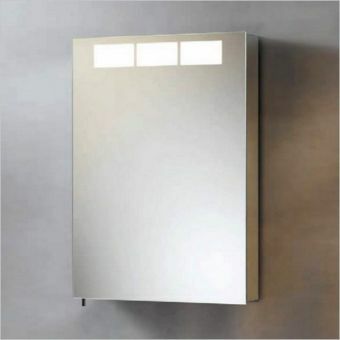 Sleek and powerful looking, the Royal T1 Integral Mirror Cabinet results in the most desirable, exceutive finish. 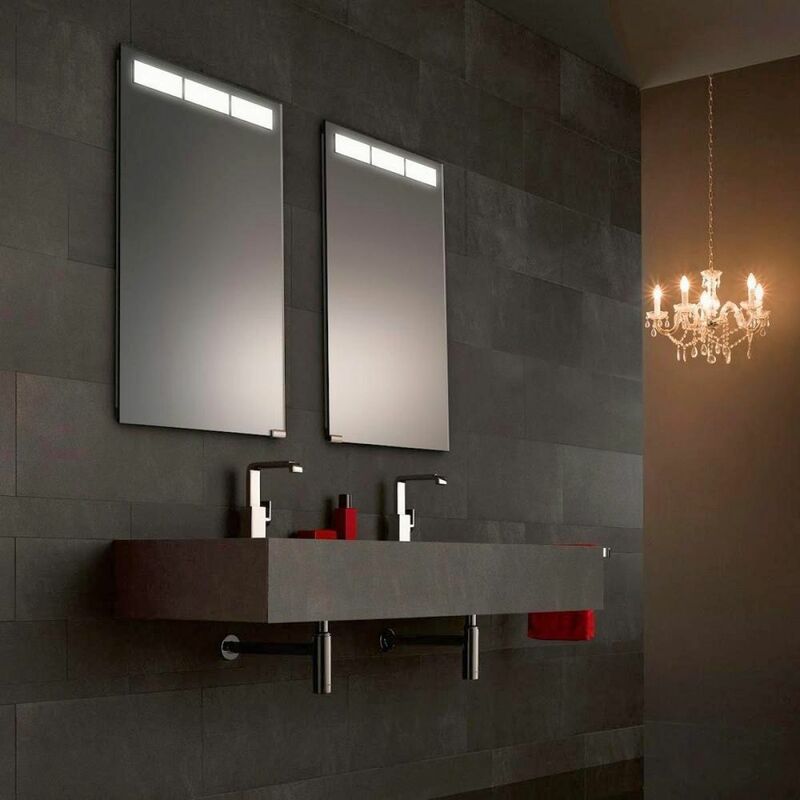 Perfectly balanced in dimensions, materials and appearance, the Royal T1 collection boasts the very best of qualities come to be expected from market leaders, Keuco. 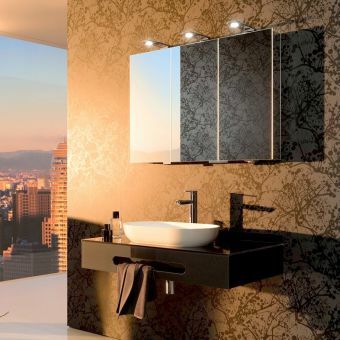 Fashioned from anodized aluminium with a fine silver finish, the combination of metal, glass and mirrored surfaces work naturally with each other. 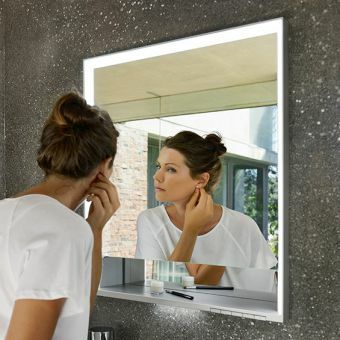 Designed for a recessed installation, the Royal T1 Integral Mirror gives a smooth, almost wall-level profile that results in a sleek and streamlined look. 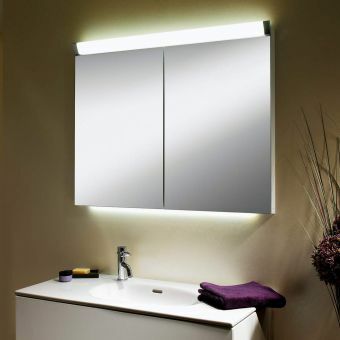 These cabinets come with options to include its own integrated lighting source, powered by a single fluorescent tube. 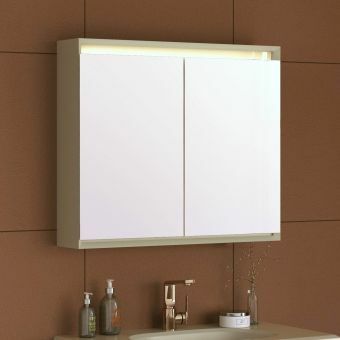 Such an option provides a cool, ambient wash of light, carefully calculated by the engineers at Keuco to achieve the optimum ambient lighting for all your personal grooming needs. 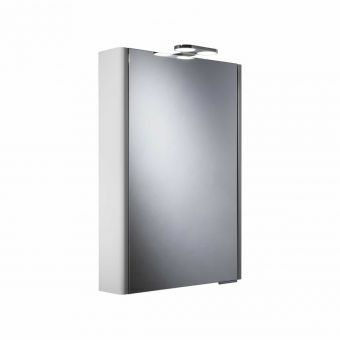 Each cabinet comes with an integrated, interior shaver socket for total convenience of adaptable appliances. 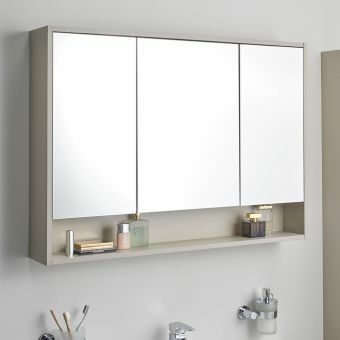 Adjustable glass shelves can be arranged to fit your own particular needs and provide ample storage for all those bathroom essentials. 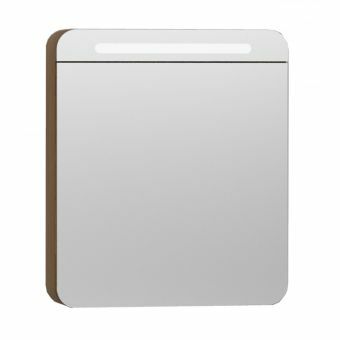 Coming in two heights options of either 700 or 1000mm, with each variant coming with three different widths, a total of six individual units are available. 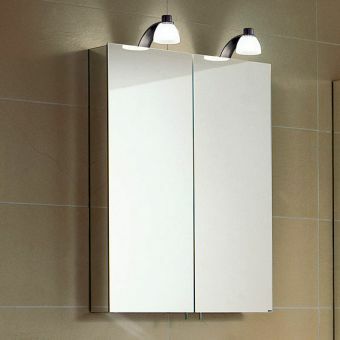 * 700 or 1000mm in height * 388, 489 or 591mm in width * All cabinets 115mm in depth * 1 x 24 Watt fluorescent tube lighting * Rated IP44 for safe inclusion in the bathroom * Bold, contemporary design.